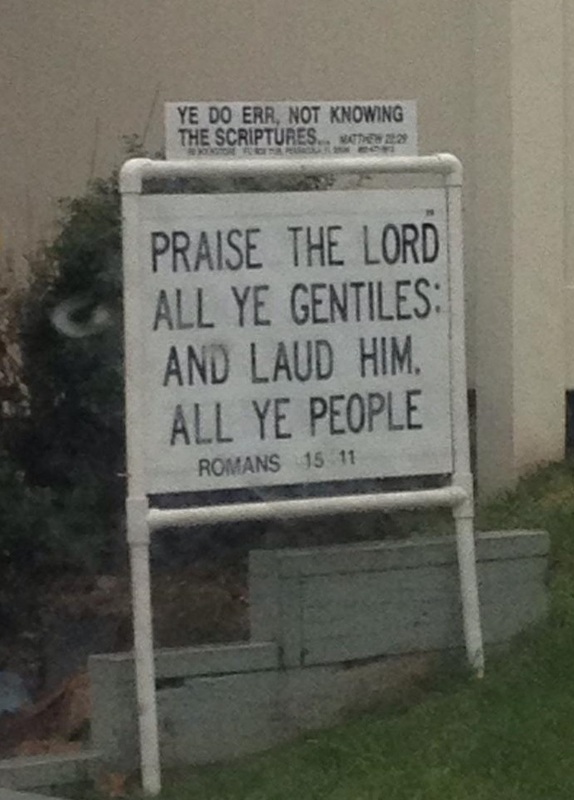 More than you ever needed to know about "goyim"
But a closer look shows that the sign didn’t quote Psalms, rather it quoted Romans in the Christian Bible. The verses are so similar, though, that it was worth researching. Apparently sometimes in the Christian scriptures the word refers to nations, and sometimes to gentiles. 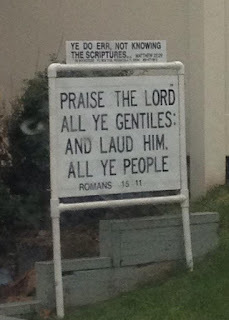 The mystery is why the King James Bible chose to use “gentiles” here instead of what was obviously a copy of the quote in Psalms – which it translates as “nations.” The scholars that translated the King James Bible certainly would have known that the verse in Romans was simply a Greek translation of the Hebrew verse in Psalms. It is just amusing to me that possibly the first people to translate “goyim” into “gentiles” n English were, in fact, gentiles!